I wouldn't consider myself to be a germaphobe. I grew up on a farm with three younger brothers. We were constantly playing outside, we had a lot of pets, were always catching snakes or fish. I remember vividly my 10 year old self sharing my ice cream cone with my dog... I grew up under the notion that, "A little dirt will just build your immune system". And it probably did. My immune system is, and always has been, pretty solid. 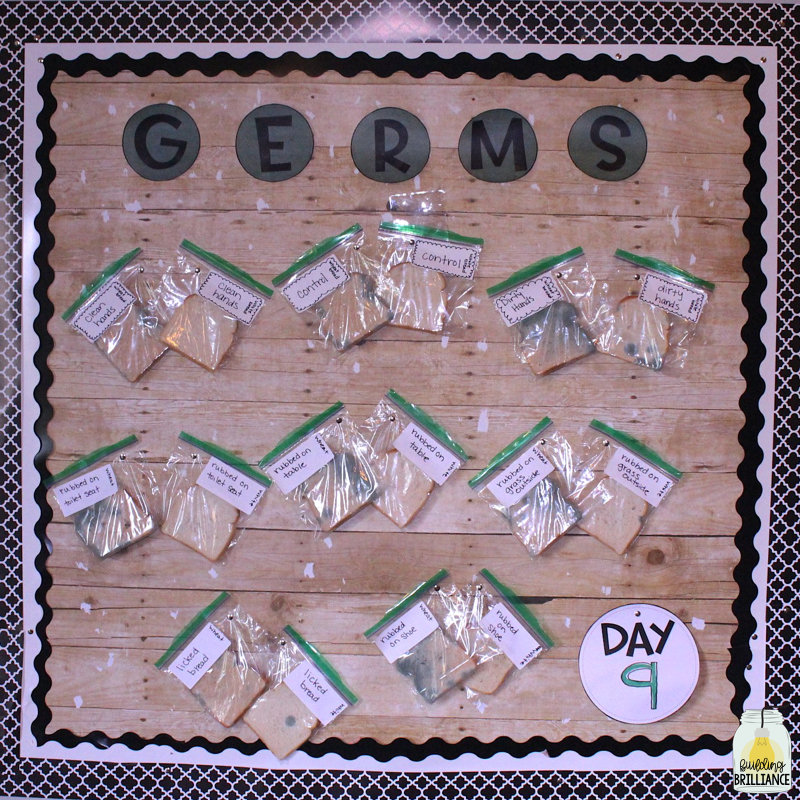 But a strong immune system is still no match for germy elementary school kids, y'all! 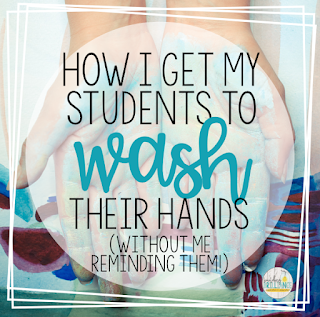 When I taught Kindergarten, I expected to have to remind kids to wash their hands after using the bathroom or before eating, but when I moved to a 2nd and 3rd grade blend, I was disgusted that this was still a reminder that I was giving multiple times a day, to the vast majority of my students! Now, I don't know about you, but I'm a visual learner. Sometimes I really need to see things to understand them. 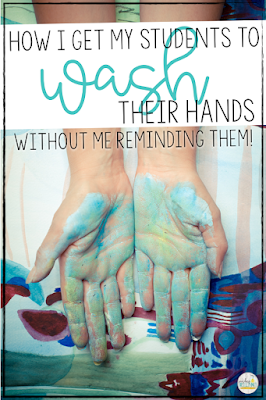 So, my 2nd and 3rd grade class and I set out to observe what happens when we don't wash our hands. And y'all, the results were nasty, but highly effective! I didn't have to remind a single student for the rest of the year(s), and they extended what they learned to other classes. It's a super simple experiment actually. You don't need anything fancy. Just a couple slices of bread, some bags, and a sharpie. 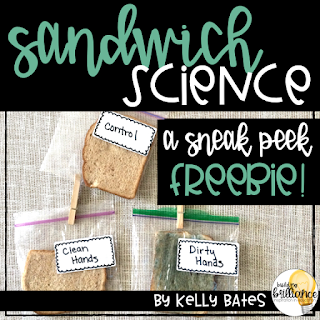 Slip one slice of bread into a Ziploc bag as the control. 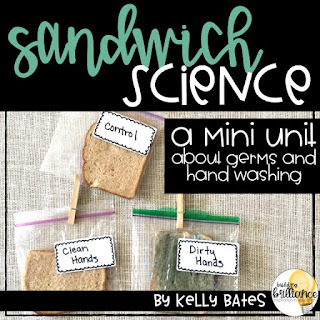 Have a student (or you) wash your hands *properly* with soap and warm water, and dry to completion. (this step is actually really important. Mold is a fungi, so it will grow on moisture. 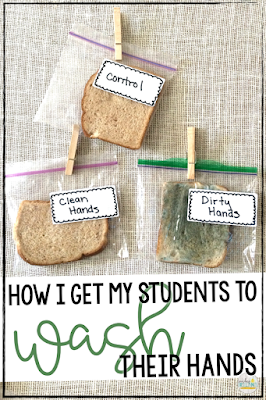 If you touch the clean hands bread with wet hands, it will probably make your mold grow faster and send the wrong message to students!). 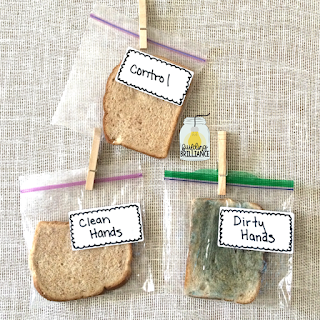 Then, have students touch the third slice of bread with their unwashed hands. Sit back and observe.... after a few days you will see a little mold emerge. By a week in, you will see a lot of mold starting to emerge! I've done this experiment 3 times, with very similar results each time. You should start to see mold growing after about 3-5 days. I usually throw mine away around 10 days, because it gets gnarly looking and I just don't want it in my room anymore, but that's up to you. ;) Take pictures of each day if you want to be able to look back and compare day to day. This was the first time I did this experiment. Gross, but effective! This experiment has been around forever, but I could not find any resources to help my students expand and record their learning. 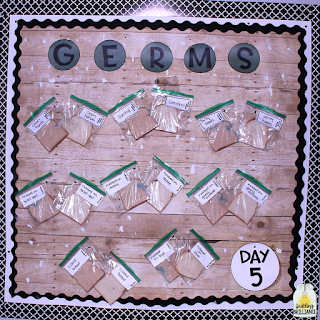 I wanted for them to be able to write down their observations, learn about the different types of germs, and explain to me what they learned from this experiment. I decided to make a packet for my kids where they could do these things. 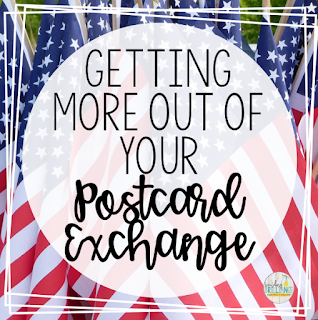 While you don't necessarily need those pieces for this experiment to be highly effective, it definitely helped my students expand their learning. 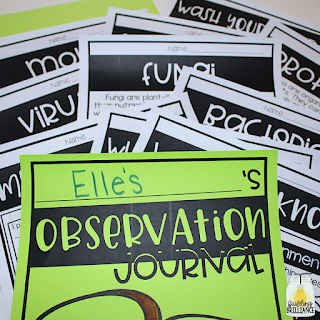 I included things like an observation journal, close reading about bacteria, fungi, protozoa, and viruses, and more. 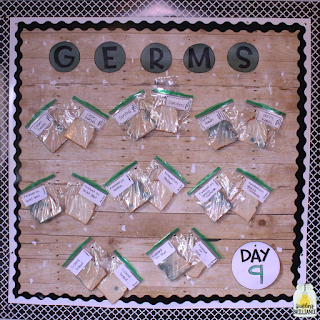 We used these to fill in the time between when we started the experiment, and when we saw mold begin to grow. You can find the activities I used by clicking on either of the pictures below. -Use fresh, bakery bread. This is often void of preservatives, so it will mold easier. -Squirt a little water on your bread. Since mold is a fungi, it grows where there is moisture. You could try to spray your bread with a little spray bottle to expedite the molding process. Since you can't spray each piece identically; however, this could be an added variable that is unpredictable. -Do NOT use white bread. The bleach in it makes it take longer to mold, and kids get impatient. On that note, don't eat white bread either. ;) Waiting for that to mold definitely makes you second guess ingesting it! -Try several variables. 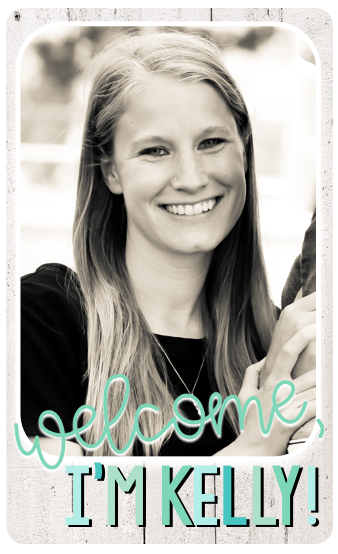 This could lead to a many authentic, curious conversations among students! My third time trying this experiment, I used a wide variety of variables, as well tried the same variables with both white and wheat bread. By nine days in, the wheat bread had molded much faster. This experiment, and the extras that go along with it are in my Teachers Pay Teachers store. 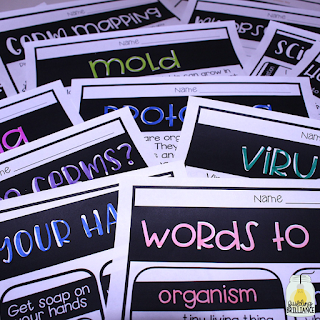 I have a freebie that helps you set up the experiment and and a larger packet that helps to expand students learning (which includes close reading passages, an observation journal, science fair tools, and more). You can find either of those by clicking the following pictures (do not click the "pin it" circle in the middle, just click on the outside of that little circle).